Who doesn't love free resources? I certainly do. I use it as a supplement for our eldest daughter, she is now in First Grade. She attends school and when we have free time, we still do supplement here at home. I homeschool our youngest and we do preschool at home. Next school year, will be an amazing milestone for us, as she will be entering Kindergarten. I will surely miss that little pumpkin of ours! I am excited though for all the new things that Lily bug would experience at school. New friends for sure! 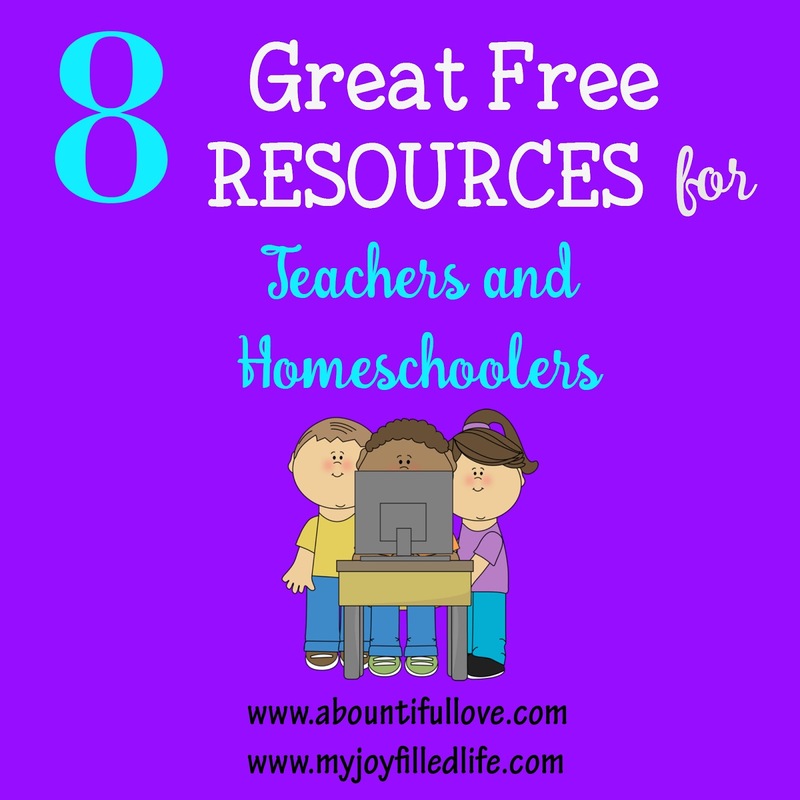 I am over at My Joy Filled Life sharing these FREE and great resources for teachers and homeschoolers! They are all fun, educational and the lessons goes beyond a regular workbook. Most of it has free lesson plans and printables too! If you are also looking for a very useful and great blog on homeschooling, My Joy Filled Life is highly recommended by me. You will also get occasional offers for your homeschooling needs. Not a homeschooler? Not a problem, as Sarah's website can also be use as a supplement and offer a ton of encouragement for moms. 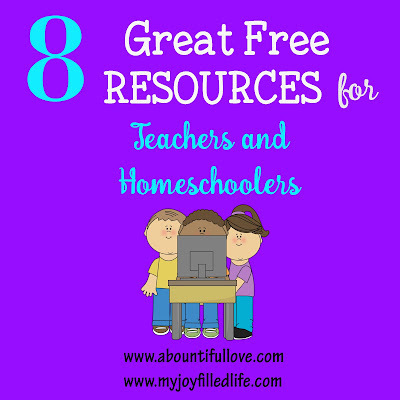 Hop on over to this POST to see the 8 Great Free Resources for Teachers and Homeschoolers. You might also love this post where I shared 35 FREE Learning websites. A free printable list is also provided so you can use it as an easy reference , I sure can not remember all of those awesome sites. Feel free to pin and share to others can use them too. Shared with these LINK UPS and BLOG HOPS. I'm always on the lookout for great learning resources, so this is right up my alley! I chose your post as my feature for this week over at #FridayFrivolity! I'll pass this on to my homeschooling family members.